The U.S. is fading as the global growth engine, according to the International Monetary Fund. 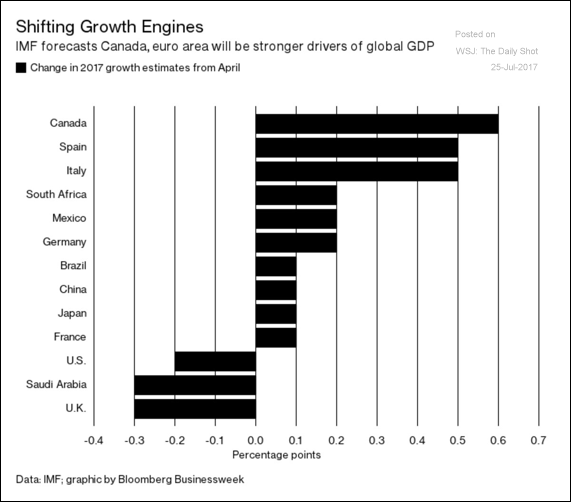 While the IMF left its forecast for global growth unchanged at 3.5 percent in the latest quarterly update of its 2017 World Economic Outlook, Canada is leading the way among Group of Seven countries with a more than half a percentage point gain. The funny thing is that the IMF’s accuracy is probably worse than chimps throwing darts on a wall. 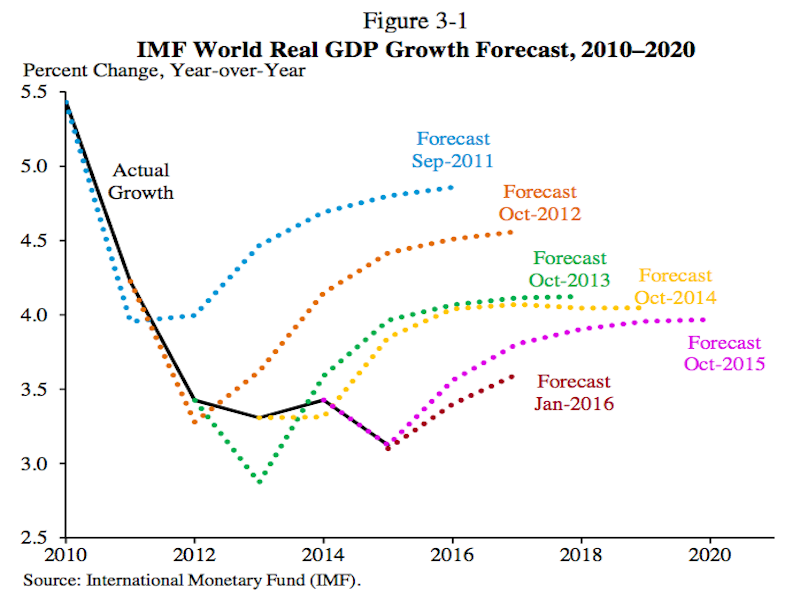 IMF downgrades US and talks about Bitcoin possibly becoming a competition currency and their intention to launch digital SDR.